Steven E. Roskos, MD, is an associate professor in the Department of Family Medicine. He serves as associate chair for academic affairs. 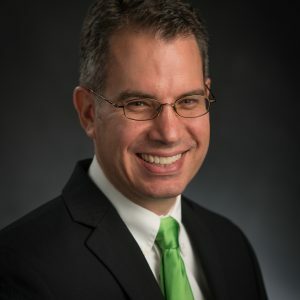 He serves as core faculty and maternity care director at Sparrow/MSU Family Medicine Residency Program in Lansing, MI. He receive his MD from Temple University School of Medicine, Philadelphia, Pennsylvania, and completed his family medicine residency at Lancaster General Hospital, Lancaster, Pennsylvania. Dr. Roskos practiced at a Community Health Center in rural Tennessee for seven years, then taught at the University of Tennessee, Knoxville, Family Medicine Residency Program before joining Michigan State in 2007. He completed a Primary Care Faculty Development Fellowship with an emphasis in curriculum development at Michigan State University in 2007. His clinical interests include full spectrum family medicine, including maternity care, hospital care, and office procedures. He is also interested in the treatment of chronic pain and international health. His research is primarily in medical education. He is a certified Advanced Life Support in Obstetrics (ALSO) instructor.